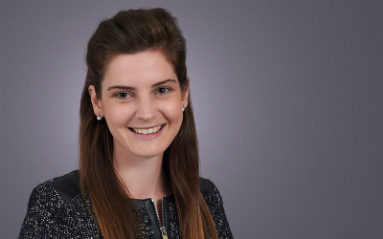 Newly qualified Solicitor Addi Vantine talks about training at Ellisons. What does a typical day look like for a Trainee Solicitor? 8:45 I like to arrive into the office slightly early to check my emails and review my to-do list. 9:00 As a Trainee in the Corporate and Commercial team, there will be a brief meeting to attend every Monday morning where the whole team will discuss their workload. Depending on my workload, I will usually be given a few tasks during this meeting. 9:15 After the team meeting I usually re-organise my to-do list to prioritise any urgent work. I will assist at all levels within the team which means my workload is quite varied. 1:00 Lunchtimes are usually sociable as there are quite a few trainees and junior members of staff at the firm. I am also part of the Social Committee and we meet once a month at lunchtime to organise various social events for the firm, which is always great. 2:00 I tend to use the afternoons to tick the smaller tasks of my list. I spend about 45 minutes responding to some emails that came in earlier today. 5:20 I submit all of the time I have recorded and then prepare my to-do list for tomorrow. 5:30 I tend to leave the office anywhere between 5:30pm and 6:00pm depending on how busy the day has been. If the team is particularly busy with transactions then slightly later or otherwise the partners always encourage you to have a good work-life balance. Why a career in law? I completed a business law module while undertaking my business management degree at university. This was my first substantial exposure to contract law and I became particularly interested in the hidden mechanics of the law behind everyday transactions. Following several work placements, I had gained a greater understanding of the practical aspects surrounding a career in law. The varied workload, range of different clients and the opportunity to continue developing an expertise in both the law and the general commercial environment were particular factors that cemented my interest in a career in law. Since joining the Corporate and Commercial team, I have been fortunate enough to assist with a transaction involving the sale of a multi-million-pound business. As soon as I joined the team I was invited to attend a client meeting led by the head of the corporate and commercial team. It was a fantastic experience being able to observe the partner advise the client on the legal steps required to achieve completion and then provide practical solutions to the client’s commercial requirements. Following the meeting, the team ensured that I was involved throughout the transaction by copying me in on emails; inviting me to attend conference calls; taking the time to explain various legal and commercial points at different stages of the transaction; preparing the ancillary documents; and giving me the responsibility of liaising with the client to keep the data room up to date. The extent of my involvement in this transaction and the amount I have subsequently learned from it, together with the team’s willingness to ensure I remained involved at every stage, made this transaction particularly memorable. What’s your favourite thing about working in Ellisons? The culture of the firm. I was very keen to train at firm which is supportive and would prepare me well for qualification. My aim was therefore always to find a firm which invests the time necessary to develop the knowledge and skills of their trainees. From the outset, I have benefited from Ellisons’ focus on trainee development through the high level of responsibility I have received which has included drafting documents, liaising directly with clients and leading disclosure meetings. Ellisons’ friendly culture at all levels means that I have never felt nervous to ask for additional guidance. I feel that this type of environment is crucial to prepare trainees for qualification and for career progression. As a trainee, joining a new department every six months, often at a point where you feel as though you have just settled into your current seat, can be quite daunting. Prior to joining the Corporate and Commercial team, the head of the department took the time to give me an overview of the team and what my role would involve. Once I moved seats, I was invited to a team meal which allowed me to get to know the people I would be working with a little better. I value the effort that the team made to welcome me and the overall inclusive culture of the firm. Additionally, I am passionate about mentoring students and this has been something that firm has encouraged me to pursue. I have attended schools to give career related presentations and university law fairs to speak with undergraduate law students. Addi is now a qualified Corporate and Commercial Solicitor. To learn more about our training contracts, click here.